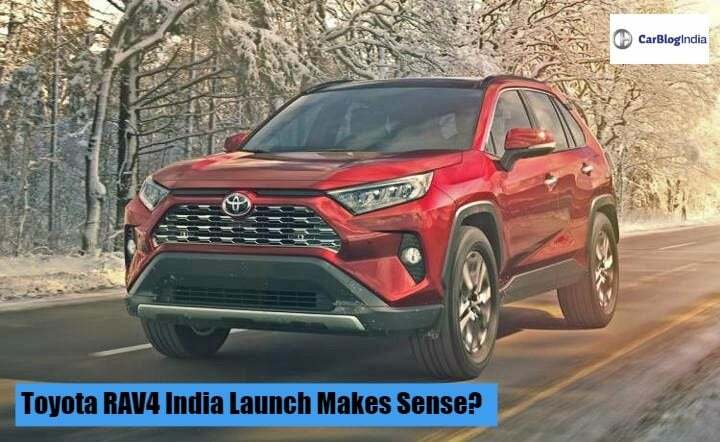 Toyota RAV4 India Launch Makes Sense? Ideal Rival For Jeep Compass! The latest iteration of the Toyota RAV4 has just made its international debut. In the North American markets, this SUV competes against the likes of Jeep Compass. The obvious question that arises here is whether Toyota should consider launching the RAV4 in the Indian market. Toyota does not have any 4×4 or as a matter of fact any utility vehicle in India in the compact segment. A segment which we have come to observe in the recent past as quite lucrative. 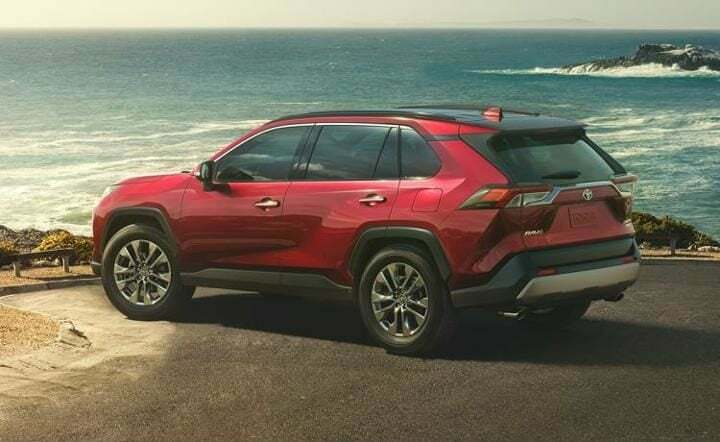 In this article, we explore the possibility of Toyota launching the RAV4 SUV in the Indian market and try to answer some of your questions regarding this vehicle. As mentioned before, the Toyota RAV4 compete with the likes of the Jeep Compass. Consequently, if the former comes to India, it will continue to rival against the latter. The Jeep Compass made its official debut in India last year. Due to local production of this SUV, Jeep has managed to keep the prices very aggressive. As a result of this, the Compass has so far received an enthusiastic response from the Indian buyers. If Toyota manages to play out a similar strategy, it could make the RAV4 an equally big success in our country as well. Recently, the Japanese automaker has said that from now on it will focus primarily on premium vehicle segments in India. in-line with this approach, soon it will launch the Yaris mid-size sedan in India. The RAV4 will be the perfect product to further enhance this strategy in our country. India has shown a lot of admiration for utility vehicles from Toyota. The Fortuner and the Innova are the perfect examples of this. The 2018 iteration of the Toyota RAv4 comes with a very striking exterior profile. It is based on the automaker’s TNGA (Toyota New Global Architecture) platform. This is the same underpinning which is also used in the new Camry, Prius and the C-HR. With this update, the SUV comes with a slightly longer wheelbase, however, the overall length of the SUV is slightly reduced. The cabin of this SUV is very plush. Something which the Indian buyers will like. In addition to this, it comes with an all-black colour scheme. Consequently, making it look very sporty. The 2018 Toyota RAV4 comes with a host of features. It gets LED headlamps and tail-lamps, a roof-mounted spoiler, 19-inch alloy wheels along with a dual-exhaust system. The SUV offers a 7-inch touchscreen infotainment system. 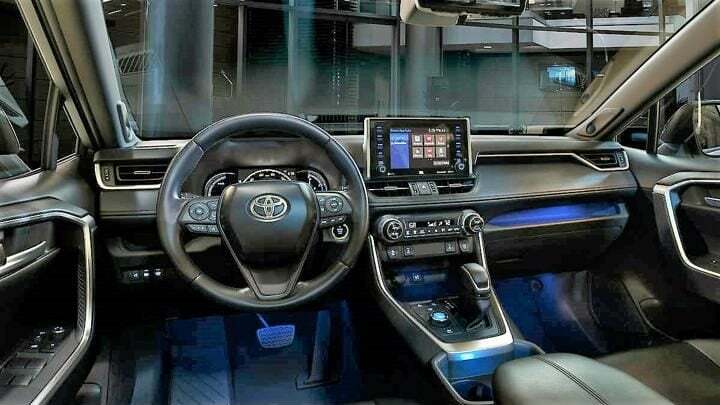 It comes with Toyota’s Entune 3.0 sound system. Furthermore, it comes with connectivity options like the Apple Car Play, Android Auto and even Amazon Alexa. In addition to these, the RAV4 comes with a host of safety features as well. These include forward collision warning, dynamic cruise control, steering assist to name a few. Under the hood, the Toyota RAv4 comes only with a petrol engine. This is in-line with the automaker’s strategy to phase out diesel engines from its line-up by the end of 2018 internationally. The motor is a 2.5-litre four-cylinder unit. It comes with an eight-speed automatic transmission as standard. In the international markets, the SUV comes in a Hybrid variant as well. Expect the prices to be in the range of INR 14 lakh to 18 lakh, if the RAV4 comes to India.